I use these picks for acoustic guitar strumming. The roughness at the end of the pick where we hold it assures a good grip and prevent the pick from falling off our hands. 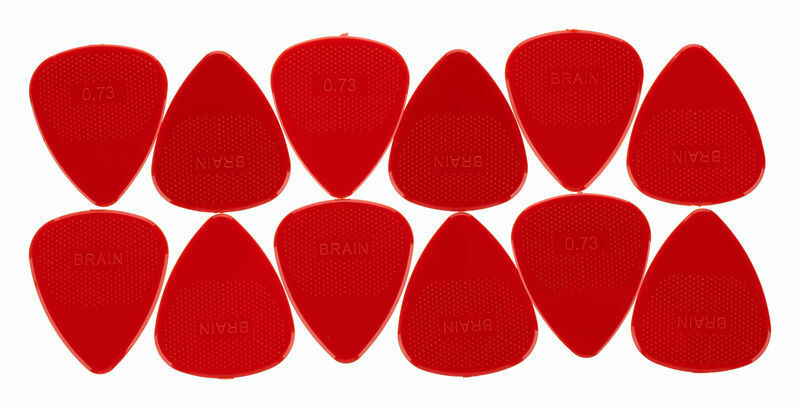 They come with a small metal box which is very useful for storing and avoids the loss of the picks. With all these features for that price, you can't go wrong. Exactly what you expect from a pick. Plus the dimples for the grip are brilliant. Nice smooth edges where they hit the strings. Comes in a little handy tin too which is a cool novelty. Will be buying more of the .73mm and the other gauges too. ID: 340122 © 1996–2019 Thomann GmbH Thomann loves you, because you rock!